The Ridge, Hole, 12 Everyone knows when Barb Bridgewater is on the course. Possessing an infectious laugh, Barb can be heard wherever she is. She and her husband Ted are members who play regularly and it is always fun to tease them both. Some very entertaining shots have been made on the 12th hole and if you happen to hit one of them, then stop and listen carefully. You can hear Barb giggle. 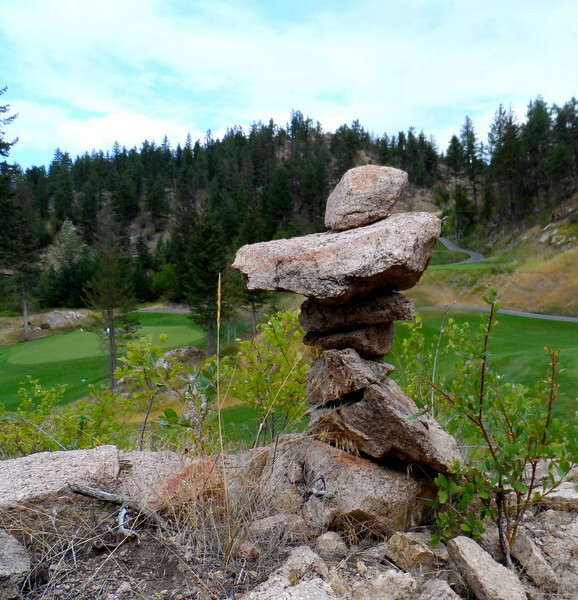 The inukshuk to the right of the green is hers.